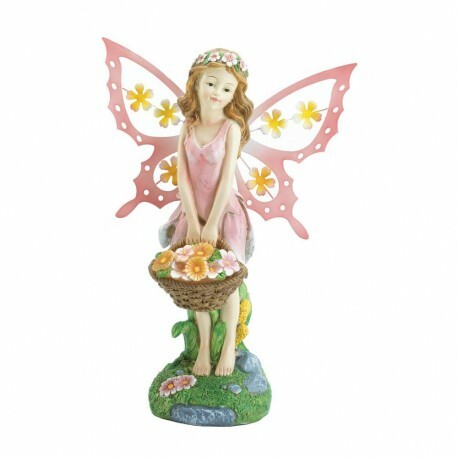 This pink fairy delivers lovely glow to your garden at night, and charming flowers by day! This garden statue features a pretty fairy with pink wings and lots of flowers. The solar panels soak up the sun by day to make her shine at night. 7.75" x 4.38" x 10.8". Polyresin, Plastic Solar Panel.